Llanllyr Source’s tonic water has a slight golden hue to it and features sugar as a sweetener, as well as the addition of Sicilian Lemon as a natural flavor. 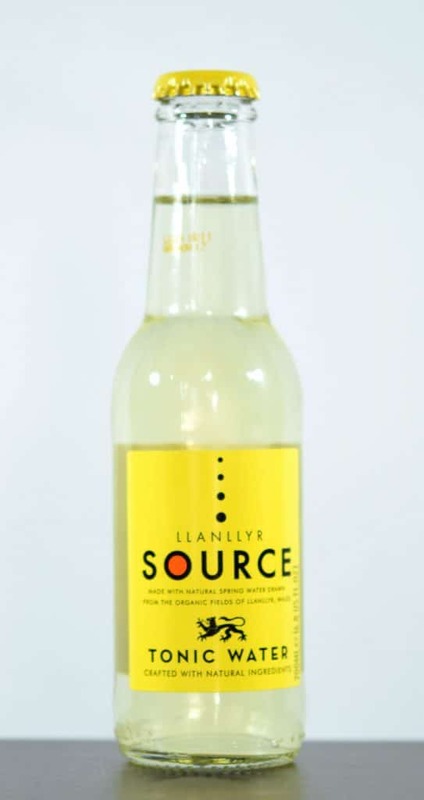 Llanllyr Source Tonic Water has an effusive fizzy character, which nicely adheres to both the sides and the bottom of the glass after pouring. It seems to have a good stickiness and retains its carbonation well. On the nose, Llanllyr Tonic Water has a slight lemon-lime soda sort of nose, reminiscent of 7up. The taste is somewhat bright, with a gentle and surprising floral note reminiscent of jasmine or magnolia. Only a gentle bitterness is present in Llanllyr Source Tonic Water, with that floral, gentle lemon character leading through to the finish. It’s really quite nice. I mixed Llanllyr Tonic Water with Temple Distilling’s Chapter One Gin. Beautiful notes of juniper come out; pine blossom on the finish marries nicely with a gentle floral and citrus lift. It’s a delicious gin and tonic to be sure. I’d suggest when pairing it with gin, look for a good juniper-forward gin. Secondly, don’t add fresh citrus, either as a garnish of as an addition. If you do, you’ll lose Llanllyr Tonic Water’s floral/citrus lift at the end, which in my opinion, is the reason why you would buy this tonic water over the other options out there. If I had to offer one mild critique of Llanllyr tonic water, it might be that there’s almost too little bitterness. But that being said, I think it has the perfect mild sweetness, an intriguing citrus note, and a really nicely done carbonation. Llanllyr Source Tonic Water is a welcome addition to the tonic water scene, especially those looking for a bit of natural citrus flavor.